For most international movie aficionados, including me, the Swedish maestro Ingmar Bergman has long been seen as the dominant “commercial face” of Scandinavian cinema, with the more austere Dane Carl Theodore Dreyer lurking in the shadows just behind him. Creating today’s post was a great excuse for me to delve much deeper into Scandinavia’s rich cinematic heritage, especially for the chance to see many more classic films from Norway and Finland. Enjoy. 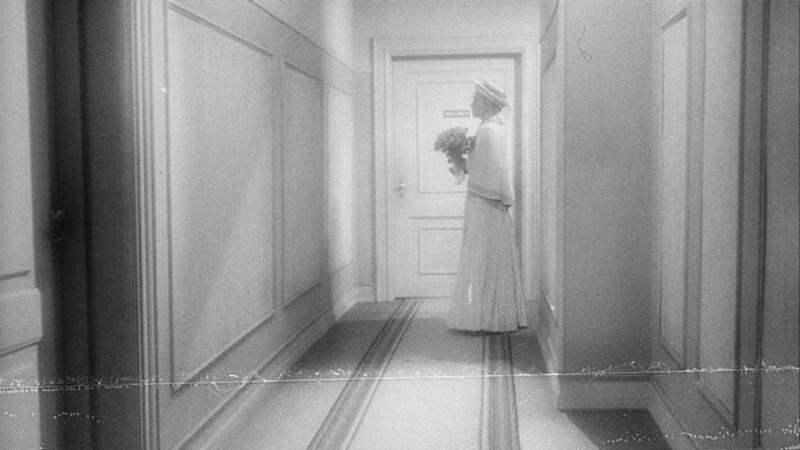 My favorite Swedish movie ever is this silent classic by Victor Sjostrom that masterfully combines melodramatic conventions with gothic horror overtones and proved a major influence on both Ingmar Bergman and Stanley Kubrick (the latter of whom clearly took his climax for The Shining from here). The irresistible premise is that the last sinner to die on New Year’s Eve must drive the “phantom carriage” that collects the souls of the dead for the next calendar year. 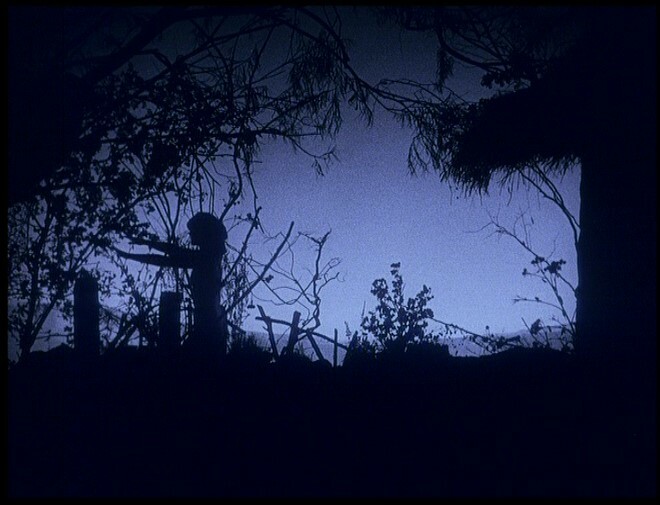 A masterpiece of moody atmospherics with special effects that still impress today. The Criterion Collection’s Blu-ray, featuring an intense experimental score by the band KTL, is a wonder. Benjamin Christensen’s fascinating documentary/narrative hybrid begins by alternating static shots of paintings and drawings with intertitles that provide a historical overview of witchcraft and devil worship in medieval Europe. This is followed by a lengthy section dramatizing the practice of witchcraft as well as the witch hunts they inspired. The final section cleverly denounces the witch hunts by comparing the behavior of medieval “witches” with women suffering from “hysteria” and other mental illnesses in the present day of 1922. Essential viewing for anyone interested in horror and the occult. Mauritz Stiller’s terrific romantic drama charts the picaresque adventures of the title character, a disgraced former minister who becomes a tutor at the home of a wealthy countess. Gosta ends up romancing both the countess’ stepdaughter and daughter-in-law, sewing tragedy in the lives of the individual family members and spelling disaster for their large estate as a whole. Director Stiller executes many impressive set pieces, the most prominent of which is the climactic inferno, over the film’s epic three-hour running time. Lars Hanson as Gosta Berling and Greta Garbo as the daughter-in-law are both magnetic performers who would unsurprisingly soon wind up in Hollywood. The first sound film that Carl Dreyer made in his native Denmark is this great work of art about religious intolerance, hypocrisy and persecution in the 17th century. While “witches” are being burned at the stake, a beautiful young woman marries an elderly pastor and then embarks on an affair with his son, leading to Gosta Berling-style tragedy for everyone. This is no stolid “period drama” however but rather a vital piece of filmmaking with incredibly atmospheric cinematography, restrained but razor sharp performances and a story that brims with obvious parallels to the question-and-torture methods of the Nazis. One of the essential films of its era. Teuvo Tulio was a master of the Finnish melodrama (he apparently had the same influence on the Kaurismaki brothers that Douglas Sirk had on R.W. Fassbinder) and Cross of Love is considered in Finland to be his finest hour. Here Tulio loosely adapts a Pushkin story in this chronicle of a lighthouse keeper’s daughter who runs away to the big city with a shipwrecked businessman who has ignoble intentions. Seduced and abandoned, she soon finds herself walking the streets as a prostitute but can she find redemption in the love of a naive young artist? Of course not. This is a more extreme and sexually frank variation on the kinds of melodramas coming out of Hollywood at the time. Blonde Bombshell Regina Linnanheimo justifiably won a Jussi (or “Finnish Oscar”) for her lead performance. Has Guy Maddin seen this? If not, he should. 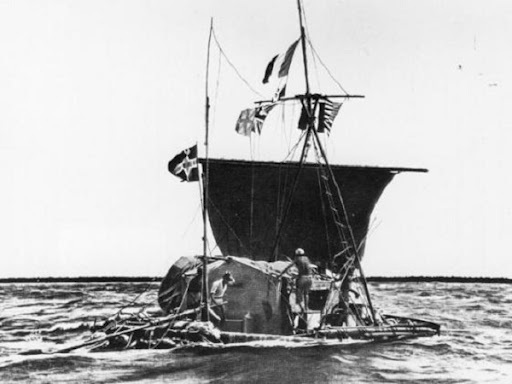 Thor Heyerdahl was a Norwegian scientist who believed that the Polynesian Islands had been settled by South American natives (not Asian explorers as had been assumed for hundreds of years previously). To prove his theory, he travelled to Peru with a team of five other men, constructed a primitive raft of Balsa wood (the only kind that pre-Columbian Indians could have used) and sailed across the Pacific Ocean to Polynesia in a trip lasting 101 grueling days. He also brought along a motion picture camera and recorded the extraordinary expedition for posterity. The end result, which the beloved Heyerdahl (he was voted “Norwegian of the century” in a poll of his countrymen) not only directed but wrote, shot, edited and narrated, is simply one of the best and most awe-inspring documentaries I’ve ever seen. Now here’s something different: a Finnish horror film based on a folk tale about a woman who transforms herself into a white reindeer-vampire and feeds on the male members of a tribe in remote Lapland. What’s most interesting about the scenario, aside from the stark photography of the bleak and frozen landscapes, is how the reindeer woman is treated as both monster and object of pity: the transformation occurs after the lonely woman visits a shaman and asks him to cast a spell that will bring her frequently traveling husband back home to her. Credit for this refreshingly sympathetic take on the “other” probably belongs to the stunning actress Mirjami Kuosmanen who also co-wrote the script with her husband, director/cinematographer Erik Blomberg. 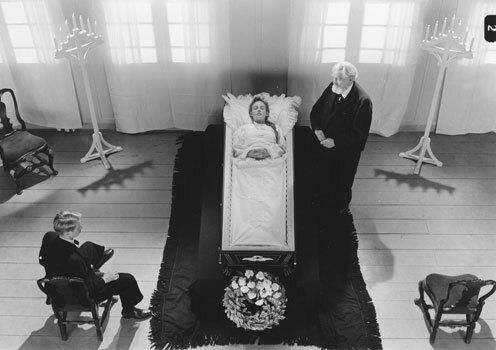 Carl Dreyer’s penultimate film is this transcendentally uplifting drama adapted from a play by Danish pastor Kaj Monk. The slowly, exquisitely paced story takes place in a rural farming community and centers on the Borgen family, which consists of a widower father and his three grown sons. Issues of faith, love in many forms, and repression are profoundly explored when the wife of the eldest son dies and the middle son, a religious fanatic who believes he is Jesus, claims to have the power to bring her back to life. This is not merely a film about religion; it is a spiritually intense experience unto itself, one that can even – or perhaps especially – be appreciated as such by an old atheist like me. 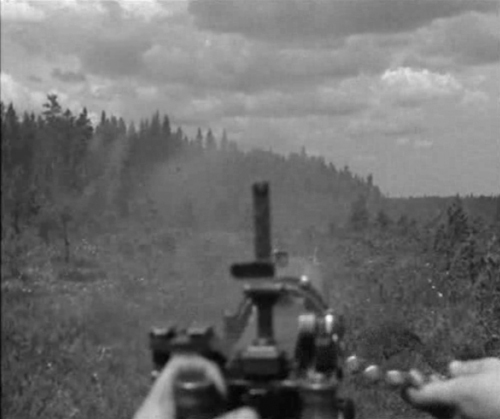 This incredible Finnish war movie should prove a real eye-opener to North American viewers. It chronicles the “Continuation War” of 1941-1944, which took place concurrently with WWII and involved Finland attacking the Soviet Union to try and regain territory that the Russians had occupied for the previous several years. In adapting a novel by Väinö Linna, director Edvin Laine has created a realistic war film centered on a machine gun crew that features a terrific ensemble cast, a healthy dose of black comedy and a powerful musical score. In short, The Unknown Soldier trumps most contemporary war movies – even those with much higher budgets and gore quotients. The amazing true story of Jan Baalsrud, the lone survivor of a Nazi attack while on a sabotage mission with other Finnish soldiers during WWII. Fleeing his Nazi pursuers on foot, Baalsrud traveled for weeks through the snowy mountain terrain of northern Norway to reach neutral Sweden. 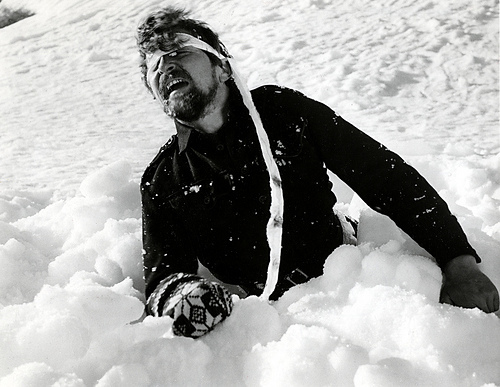 Along the way, he went snowblind, cut off his own frostbitten toes and relied on the kindness of random strangers for food and lodging. Through it all, as Baalsrud puts it in a memorable line of dialogue, nothing seems capable of killing this old fox. Nine Lives was impressively shot on real locations that make one feel cold just watching it. In 1991, Norwegian television viewers voted this the best Norwegian movie of all time. Everyone has personal tastes that are idiosyncratic and subjective and that is as it should be. In spite of the fact that Ingmar Bergman is almost unanimously critically acclaimed as one of the greatest directors of all time, I’ve never been able to warm up to his work (in spite of trying repeatedly). His films strike me as too self-consciously serious and their merits more theatrical and literary than cinematic. Nonetheless, I would be remiss if I didn’t include one of his movies on this list. 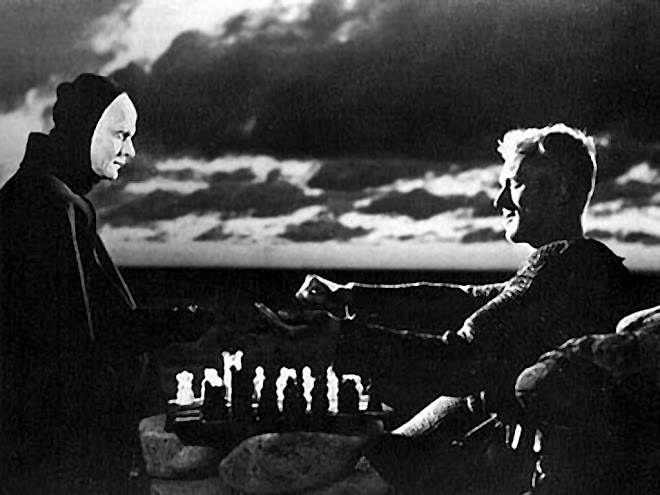 I’m choosing The Seventh Seal not only because it has more humor than most of Bergman’s dramas but also because it has been so massively influential on an international scale: the image of Max Von Sydow as a knight during the crusades literally playing chess with the Grim Reaper conjures up the notion of a foreign language “art film” more succinctly than any other. 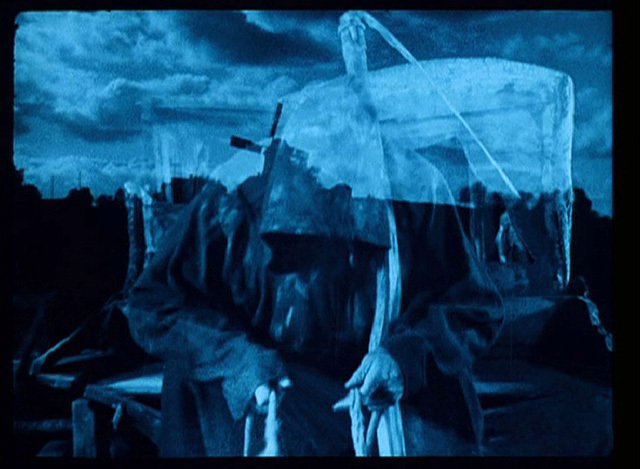 Everyone with an interest in movies, whether I like it or not, should see The Seventh Seal. Henning Carlsen’s adaptation of Knut Hamsun’s famous autobiographical novel of the same title tells the story of a starving writer’s attempts to find love, food and a publisher for his novel. 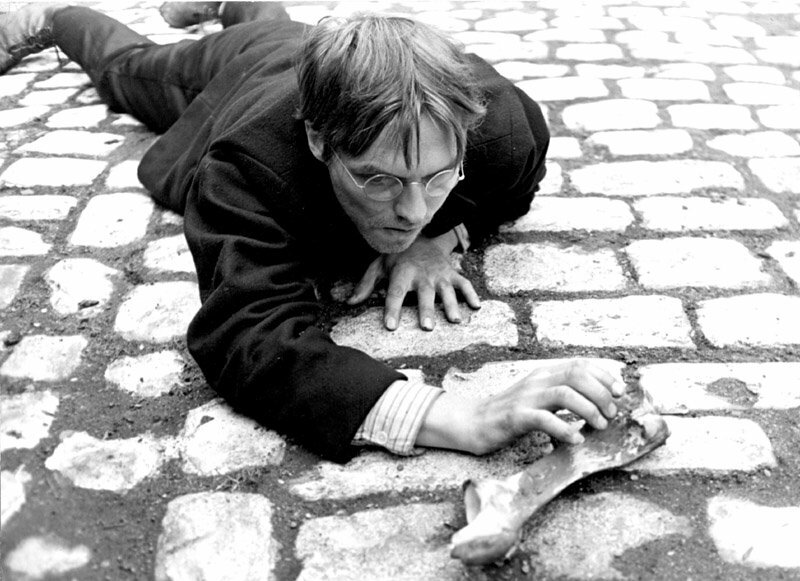 Although it lacks the ferocious intensity of its first person literary source, this is still crucial viewing, especially for Per Oscarsson’s tremendous lead performance as the writer Pontus whose mental state increasingly collapses as he wanders the streets of Christiana (soon to become Oslo), living the credo of an absurdly idealistic artist and vainly refusing all charity. A fresh and compelling take on the stereotype of the tortured artist.